This unconventional, yet potentially impactful alternative outcome of sexual conflict was described by scientists from Arizona State University (U.S.), the University of Copenhagen (Denmark), Lund University (Sweden) and the Swedish Museum of Natural History in Stockholm. Their findings were published today in the journal Proceedings of the Royal Society B. "Our study challenges previous ideas of sexual conflict as an engine of speciation," says Lars L. Iversen, a researcher at Arizona State University's Julie Ann Wrigley Global Institute of Sustainability. "Usually, females evolve ways to escape the mating harassment from males, and this could initiate the evolution of new species. Here, we document an alternative outcome—that sexual conflict instead prevents populations from diverging from each other and becoming new species." In many diving beetles, males are equipped with crafted suction cups on their front legs that attach to the backs of females during mating. This grasping ability has become so effective that females can be harmed under high mating pressure, lasting up to many hours for each mating attempt. As a consequence, some females have developed a rougher back that is more difficult for male attachment. "Sometimes nature creates designs that goes beyond our imagination," says Kaj Sand-Jensen, a professor at the University of Copenhagen's Freshwater Biology Section. "It is truly fascinating how the constant quest for mating success has shaped the front legs of these beetles into flawless suction cups." 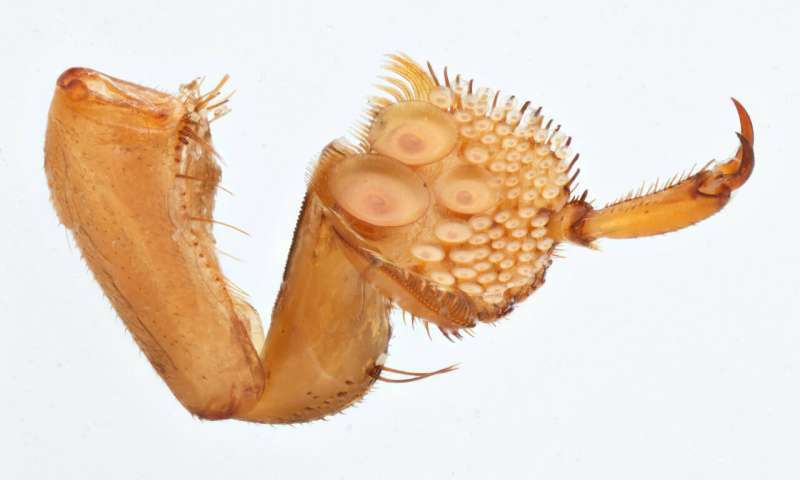 By studying Swedish populations of the diving beetle Graphoderus zonatus, the research team showed that males have evolved suction cups to match the back structure (smooth or granulated) of the females. Within populations of this species, two pairs of male and female mating traits have developed. When granulated females becomes dominant, the mating pressure from the matched males is so strong that females with a smooth back get an advantage, and vice versa for smooth females. The outcome is a situation with no consistent long-term advantage for any single female type. Instead, populations move toward a state in which both smooth and granulated females are equally abundant, thereby minimizing the mating pressure on a specific female type. 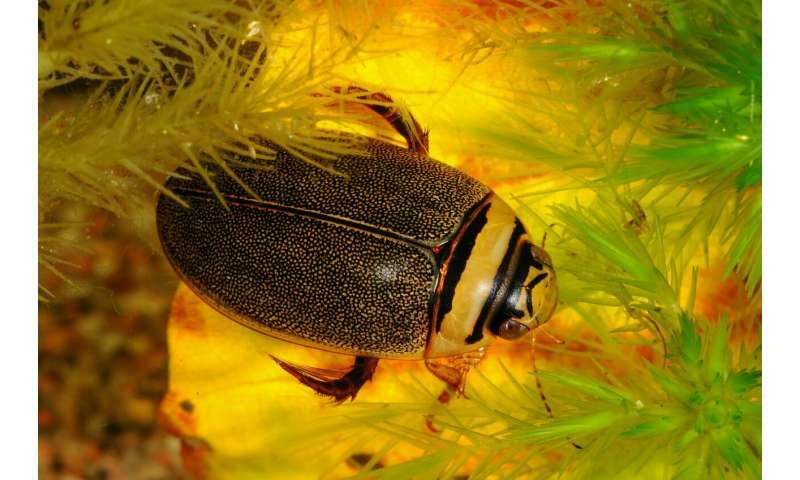 Hence, the diving beetles are kept in an evolutionary limbo and the two types of females are maintained by the ongoing and intense mating harassment from the males.